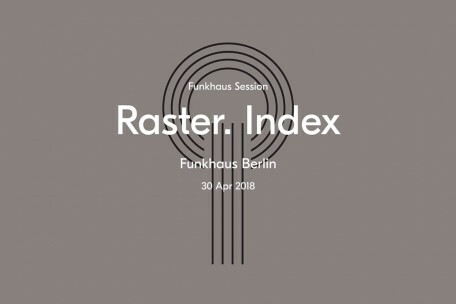 on april 30, high-profile german electronic record label and artistic platform »raster« will present a further »raster.index« showcase night, this time at funkhaus berlin. the event will start at the monom 4d studio where label co-founder frank bretschneider will present an exclusive performance in 4dsound. moving to studio 1, atom™ will present his new a/v live set »deep state«, followed by the premiere of dasha rush's experimental live set »territoire éphémères« and finally the premiere of Byetone's new a/v show. the evening will continue with live sets by robert lippok, celebrating the release of his upcoming record »applied autonomy« (plus album pre-sale!) and grischa lichtenberger. last but not least, the event will be supported by »raster« resident dj mieko suzuki plus special guests hanno leichtmann, max dax and more.